Modern photo display techniques are no longer reserved for New York lofts and high-end galleries in Miami and Los Angeles. And that’s a great thing, because wedding photography isn’t just for couples to enjoy when they’re flipping through their wedding album or hanging portraits on their bedroom walls, either. Ever seen fine art wedding photography? It’s true artistry, something that anyone can appreciate, and should be hung somewhere where it’ll have ALL the 👀👀👀. Bumblejax brings modern frameless photo mounting to everyone with unparalleled quality and customer service. 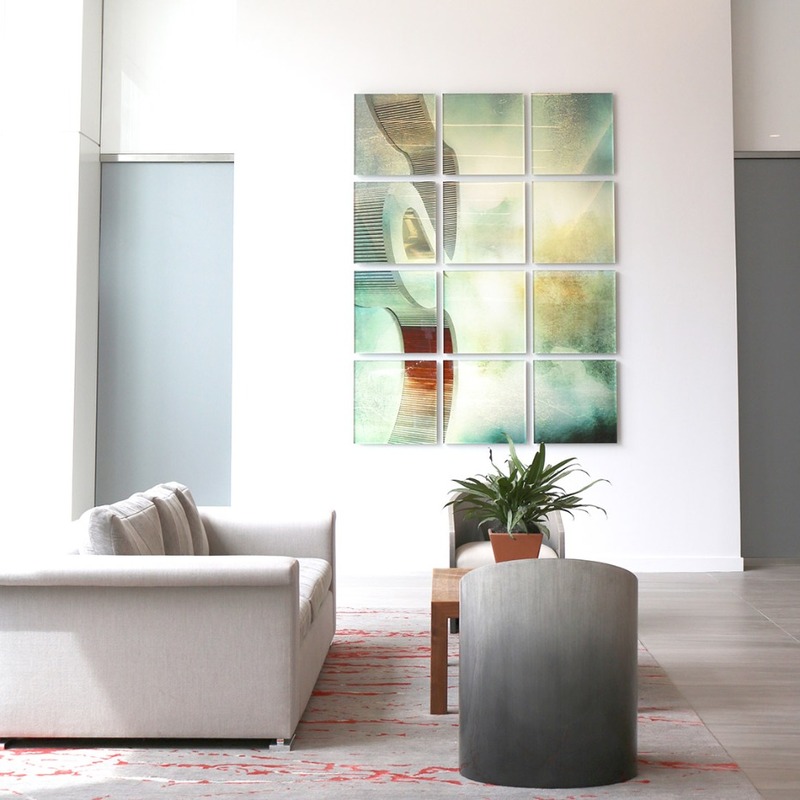 It’s never been easier to transform your digital photos into stunning, gallery quality art using unique materials such as bamboo, birch, acrylic glass (plexiglass), raw aluminum, canvas and dibond. And all of their handcrafted art is 100% made in the USA using only the finest-quality materials and a high-end giclee printing process - basically, the highest resolution printing option out there. Each piece is ready to hang with invisible hardware, providing that sleek floating off the wall look. Gallery walls need a muse to start with, and a stunning wedding photo can serve that purpose, precisely!! With nearly a decade of experience to their name, Bumblejax specializes in creating world-class acrylic prints (in 1/8", 1/4", 1/2'' sizes) and acrylic photo blocks (1") using a superior face-mounting method to achieve the most optimal degree of vibrancy and full color saturation. The team was one of the first in the USA to offer this type of upgraded photo mounting to the general public with an easy online order system. Essentially, your photo is printed on high-grade photo paper (satin or metallic), then mounted onto the acrylic glass (plexiglass) so that you're looking through the acrylic at your print. And the acrylic is unique in that light refracts within the acrylic (instead of passing through as it does with glass). With the right lighting, your photo almost appears backlit, and that’s so fun when you’re considering a statement wedding photo to anchor your gallery wall. Finally, they protect the print and provide rigidity by backing the print with dibond and adding the hanging/floating hardware so that your print appears to float off the wall with no hardware visible. It’s beautifully modern and striking. All products are handcrafted in Seattle, using the finest materials -- and that accounts for their exceptional rating in the photo mounting industry. They’ve been in the business for almost 10 years, and helped bring acrylic face mounting to the USA along with their innovative bamboo photo mounting. 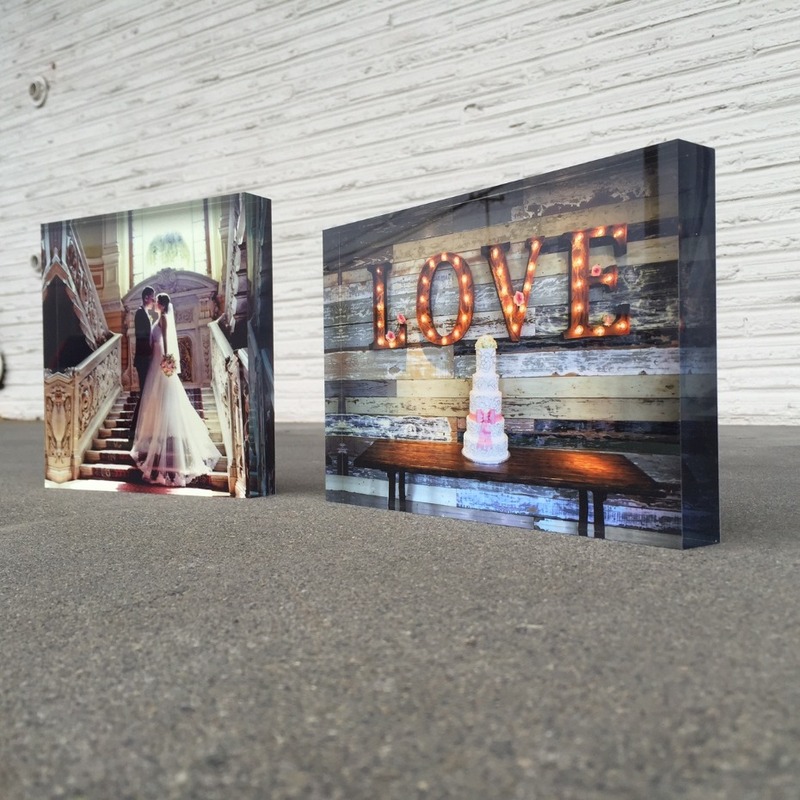 But if you’re really after that modern, brilliantly-colored look, acrylic prints are everything. And we’re obsessed with them because they draw the eye SO much. It’s a commanding focal point for any room, and once you’ve got it hung, all you need to worry about is filling in the space around it. Layering other relics of your special day in an artful way - from the personalized napkins you had at cocktail hour, or the pages torn from your vow books, shots of your guests in front of your photo backdrop or amongst your flowers, or vintage-filtered vignettes of you getting ready the morning of your wedding. Are any of your wedding photos so epic that you haven’t swapped them out as your home/lock screen background in nearly 6+ months? Or did you max out on pages for your wedding album, but have a photo or two that you simply can’t live without? Do yourself a favor and Bumblejax it. From now until September 15th, use promo code “WCBjax22” at checkout for 22 percent off your order!! Eight characters, a whole lottttta savings! We partnered with Bumblejax to give brides and grooms their first post-wedding to-do: a #photoparty in the humble abode. As always, thank you for supporting our sponsors!